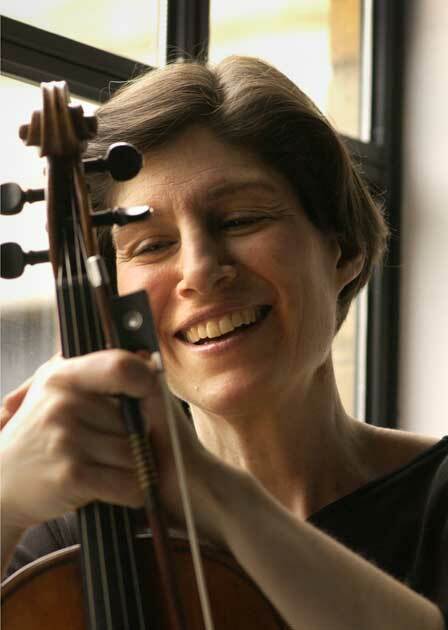 When Kim Kashkashian and Robert Levin present a recital, you can be guaranteed an evening of superb musicianship. This is no secret—Monday night’s at Jordan Hall drew a large enough crowd to necessitate the opening of the balcony to accommodate everyone. I think it is fair to say that in most other cities a Monday night viola recital would rarely draw this kind of attention. These two musicians have worked together so long that they have a style and aesthetic that almost makes the repertoire secondary. Kashkashian’s sound is big and bold and plush; Levin’s accompaniment is balanced without being deferential, his tone luminous. Together they project an opinionated clarity and a unique commonality of purpose. The first half of the program consisted of music from the first half of the 20th-century: pairs of works where a big well-known work was preceded by a piece on a smaller scale by a composer from the same country. The two “small” works were early ones by Ralph Vaughan Williams and Zoltan Kodaly; the Romance of the former and the Adagio of the latter. “Early” is a relative term for Vaughan Williams, who bloomed late and did not have his first successes until he was nearly 40. The Romance is thought to have been written in 1914, when the composer was 42. It is a movement in ternary form, the outer sections filled with modal undulations that evoke the sea and viola lines that hint obliquely at Vaughan Williams’ interest in folk song. The middle section is a recitative dominated by the viola, which is both emphatic and a little mysterious. In Kashkashian and Levin’s hands, it lingered in memory for some time. Well-constructed, it combined a pastel beauty with a touch of the sphinx. Kodaly wrote his Adagio when he was 23; a more loosely constructed movement, it also contains folk material (now from Eastern Europe) in a rather more nebulous work built out of a handful of distinctive episodes. The piano writing is more extroverted, and Levin produced a particularly glowing sound in the harp-like moments, generating warm swirls of notes. In both of these pieces the musicians lavished their attention and their preternatural connection to one another to produce beautifully sculpted miniatures. The “big” pieces were Britten’s Lachrymae and Bartok’s First Rhapsody. Britten’s set of variations or “Reflections” (his word) on music by Dowland was unlike typical sets in that the underlying theme is set out at the end, not at the beginning. The reflections are written in a challenging harmonic idiom. Dowland’s music is fragmented, and the fragments jammed together and overlaid. But, when the theme itself arrives near the end, it is stated with much simpler harmonies derived more or less directly from Dowland. This presents problems of interpretation if the appearance of the theme is played as a revelation, an emotional breaking through (as it often is). It suggests bad faith on Britten’s part, after having written 10 minutes of “modern” music whose primary function is to foreground music written by someone else, 300 years earlier. Kashkashian and Levin avoided this by playing the music throughout with restraint, un-tempted by the theatricality Britten can invite. Britten precedes the theme’s appearance with music of great movement and agitation; in this performance that music moved and shook but never threated to break apart, and the emergence of Dowland’s theme was matter of fact, played with beautiful tone but without italicization. 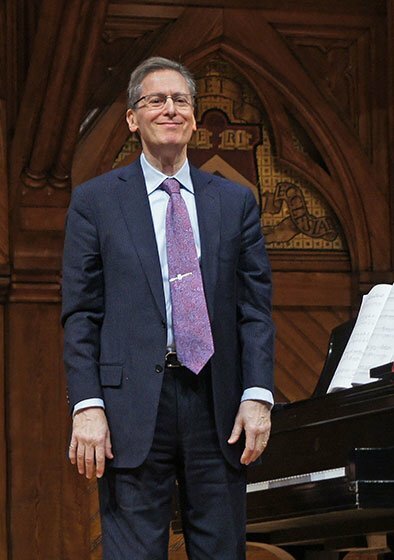 This spirit infused the entire performance, giving it a sensibility closer to Bach, allowing the listener to attend closely to the compositional work enacted. It was an unexpected approach, and gave the work a new sense of depth. The Bartok Rhapsody had this Apollonian touch as well, perhaps a bit more than was necessary. The ease with which these players communicate, their supple rhythmic reactions to one another, their immediate anticipations, de-fanged some of the more vivid moments in the work. Clearly the performers were feeling the vitality and even violence in the writing—Kashkashian several times stamped audibly on the floor when setting up a hard syncopation—but the piece never felt dangerous; you were in such good hands, that nothing too surprising could happen. The second half was dedicated to the Sonata in F Minor, Op. 120, No. 1, by Brahms. Originally written for clarinet, it is frequently played on the viola—the original publication lists it as for “Clarinette (oder Bratsche)”. Your reviewer is a clarinetist, as familiar with the piece (and its companion in E-flat) as any clarinetist, and was encountering it on viola for the first time. It was… disorienting. Speaking after the concert, Kashkashian said that her daughter, who had previously only heard the piece played by viola, broke out laughing the first time she heard it on clarinet, thinking it was a joke. My own reaction isn’t quite so extreme—it is like hearing a poem you love well-translated into another language in which you are also fluent. Much of the beauty of the original is preserved despite the transformation, but the differences tend to draw your attention. The very meaning of the sonata seems altered by the change in instrument. Broadly, it trades the highly-contrasting colors, registers and articulations of the clarinet for the more restrained and familiar palette of the viola. The clarinet has an uncanny and distancing quality to it, while the viola is more inviting. The smoky, fuzzy sound of the lower range of the clarinet (as heard in the opening movement) has no parallel in the viola; the clarion register, used as a call to arms in the third movement, is more piercing and powerful. The grammar of interpretation is entirely different—many words could be written just on the difference in how vibrato is employed on each of the instruments. Played by viola, the sonata is more introverted, and the solo part more deferential to the rather difficult and dense piano part. Despite my clarinetist bias, I have to acknowledge it was a particularly successful performance, especially in the gorgeous second movement. Played at a rapid clip, it never felt rushed thanks to a remarkably pliant and reactive rubato. Kashkashian’s instrument sang the long lines with subtle shaping and inflection, and Levin brought a sense of brightness and visibility to a part which too often is redolent of dusky drawing rooms and dark wood. The evening ended with a brief and seductive encore drawn from the performer’s ECM New Series recording “Asturiana: Songs from Spain and Argentina”, a warm and romantic pendant to send us out into winter night. Thanks for the wonderful review. I was very disappointed not to be able to attend this concert, but your writing paints a beautiful and detailed portrait of what sounds like a memorable recital. Boston has been fortunate to enjoy the pedagogy and performances of these two artists for so many years. Readers may wish to note that Kim Kashkashian appears again at Jordan Hall next Friday night March 7, performing Schnittke’s Monologue with A Far Cry (the self-conducted orchestra of which I am a member). Their cd, Elegies, on ECM New Series (1984) has been one of my most treasured cds for 25 years. I almost could not believe it when I learned they were going to perform three of the pieces live (the Ralph Vaughan Williams, Britten, and Kodaly.) What a thrill it was to hear those works and the other pieces! After the performance I chatted with the performers in the “green room”, and they graciously signed my cd booklet.